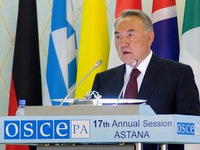 In January of 2010 Kazakhstan will chair the Organization for Security and Cooperation in Europe. Despite widely spread opinions about the decline of the Organization, OSCE which was founded more than 30 years ago, is still in the core of international policy within European continent. And regardless overall current scepsis, this intergovernmental format of cooperation still plays a significant part, dealing with a wide range of security issues, armament control, crisis regulation and post-conflict rehabilitation. We can’t also ignore that despite the acuteness of polemic, OSCE has been able to follow the course of democracy promotion, human rights protection and the supremacy of law. Obviously, in recent years the role of this organization as a regional convention has changed under the influence of global and regional processes. The situations incited by disagreements within important fundamental principles of international relations also demand to be solved within the framework of OSCE. Imperfect ways of conflict regulation in Kosovo, Abkhazia and South Ossetia have set a lot of new issues. It’s clear that in this context potential candidate on the role of OSCE Chair-state will have to follow not only its logic, the logic of its international image promotion, which is constantly repeated by Kazakh commentators, but also the logic of complicated and sometimes pretty acute international discourse inside OSCE. In contrast to the promotion of the candidacy for Presidency this is a task of quite another level and quality. Is modern Kazakhstan capable to fit the level of such a task? Most commentators are skeptic about this issue. This is easy to explain. In general there are no real reasons to count on any breakthrough. However, it’s possible to give a definite constructive impulse within the number of issues of current agenda of the Organization. But this generally depends on minimum three facts – optimistic signs and positive prerequisites of real development of international cooperation within OSCE area, on the intentions of political leaders of the country and the mastership of Kazakh diplomacy. Astana participates actively within the activity of Shanghai Сooperation Organization – it has incited the process on implementation of trust measures in Asia, it is one of the initiators of EurAsEc, it constantly supports the maintenance and development of the CIS. N. Nazarbayev has repeated a lot that he imaged Kazakhstan as a core-state in Central Asia region, as an integrator of internal regional economic relations, the center of political attraction, the center of investments attraction, location of regional manufacturers, affiliates of biggest world companies, oriented on Asian market. Kazakhstan has ground for political ambitions. It is one of the main suppliers of raw materials to European and Chinese markets first of all hydro carbons. Energy policy and energy sources transit is an evident factor, promoting the role of Kazakhstan, which participates in a number of serious strategic projects. In particular, Kazakhstan has joined the project of “Baku-Tbilisi-Ceyhan” pipeline, which delivers Caspian oil to West. Kazakhstan supplies the world market with oil also through the system of Caspian Pipeline Consortium. Kazakhstan diplomacy also takes pains. This has been especially sound in recent years. In general, the training of personnel for state administration in Kazakhstan is performed at a high level. The stake on new, young generation of executives, who received high quality education and training in the leading Western universities, as on the second echelon, gives its results. 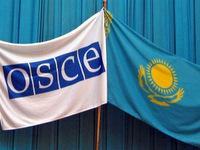 Astana has been preparing for OSCE Presidency for five years. The intention was expressed in 2003, and a year before voting on this issue in Madrid, the Institute for National Studies of Alma-Ata developed a strategic plan “Kazakhstan – OSCE - 2009”. It was quite a detailed and realistic document, oriented generally on internal political development of the country, as a main prerequisite of promotion of Kazakhstan candidacy. The point of the plan was that it was important for Kazakhstan to be elected for OSCE Presidency not only to strengthen its prestige within international level, but also it could give an impulse for democratization, development of civil society and its institutes. Thus, the election of Kazakhstan for OSCE Presidency was meant to become not only a prior direction of foreign policy course, but “a system strategic task”. 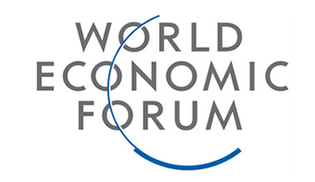 The authors objectively noted that Kazakhstan had reached a full-value level of development corresponding to international criteria of a democratic state. The plan suggested gradual achievement of the goal, the goal which gained the status of a national project. At the first preparatory stage the following priorities were defined: to join main international legal treaties, corresponding Human Dimension of OSCE and adoption of measures within internal policy, directed on development and strengthening trust within society. The next stage suggested bringing the internal legal system to conformity with the standards of Human Dimension of OSCE and the joining of the Council of Europe. The following stage involved accomplishment of constitutional reform, local governments development, elections to senate, and to the Majilis of the Parliament. The authors of this document did their best. They perfectly realized where the threat of this national project failure hid. It routed in violation of democratic norms and standards. In practice the vector was the right one. And eventually, it was highly evaluated by main players, defining the destiny of the Presidency from the side of West. After the Madrid decision a new task arose – to accomplish the Presidency within totally acceptable variant and here, naturally, they need another quality of diplomacy, consideration and analysis. 3. grounding the document on national specifics, special place and role of chairing state. It’s supposed that for Kazakhstan the task itself to integrate these approaches in a single document, combining them harmoniously, to develop them thus to a document of political, program and at the same time organizational character is a complicated and peculiar foreign political challenge. Here we need a realistic analysis of all modern political-legal basis of OSCE, possible ways and directions of discussions, resulting from the two grounds of cooperation: common interests and values. It’s known, that Kazakh diplomats analyze the experience of the three predecessors with scrutiny - Spain, Finland and Greece. The Presidency of Greece today can be called conventional, performed in an automatic, inertial regime. As a Chair Greece was absolutely ordinary, only except for the consultations on the Corfu Island. Finland had quite another destiny. It was chairing OSCE in pretty complicated conditions. Accepting the Presidency, Finland stated officially that its main principles are succession, consistency and cooperation. 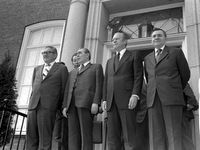 The succession meant not only the succession of the agenda of the previous Presidency, but also the succession of the principles of Helsinki process (“Helsinki spirit”). Also Finland constantly repeated that OSCE remained a demanded organization, playing a significant role in promotion of stability, security and cooperation in European region, calling the Organization a cornerstone of European security, established 33 years ago in Helsinki. It was also announced, that the country will strive for the finalizing of negotiations on international personability of OSCE and is ready to consider any suggestion, aimed at the enhancement of the efficacy of the functioning of the Organization. Judging by preliminary claims of Astana, the baggage of all these intentions remains topical also for Kazakhstan and will be included into OSCE agenda - 2010. In addition to this, one of OSCE problems in recent years has been the issue of accomplishment of political obligations, adopted by member-states in the whole region of OSCE. Kazakh diplomacy has already noted that it’s urgent to strengthen the mechanisms of obligations accomplishment, local missions and projects, to direct them to the accumulation of positive interaction of member-states. But they put a bit different sense in it, than other states. Considering the disagreements on ODIHR, it’s hard to imagine now the way it will forward towards the missions and local offices. Within regional issues the agenda of presiding countries traditionally covered main problems of regional conflicts regulation, laying within OSCE sphere of responsibility (Transdniestria, South Ossetia, Nagorny Karabakh). The war in Caucasus in August of last year has revealed the obvious limits of abilities as a Chairing State, as well as the Organization in general. Most experts (Russian, Georgia, and a significant number of European) evaluated the role of OSCE in the August five-days war as insignificant, inefficient and even negative. By this, Finnish diplomatic institution, Foreign Affairs Ministry of France (OSCE Chair then) estimated the role of the presiding country as an extremely important, underlining that OSCE put four objectives. First one – ceasefire – was achieved in five days, and it was the first case during the total period of Organization existence, when OSCE participated in conclusion of truce. The second objective – withdrawal of Russian troops – was to some extent also achieved. The third one – the beginning of the work of observers, was partially performed. The last one – the beginning of negotiations on the international status of these territories – was also, in principle, reached. Evaluating the role of Finnish and Greek Presidency from the point of Nagorny Karabakh conflict regulation, most commentators think that there was no sound progress observed within this direction. The ministerial statement on Nagorny Karabakh adopted two years ago, welcomed “constructive and positive impulse in the peaceful process of political regulation” and expressed the intention to activate negotiations. However, significant progress wasn’t observed. Moreover, as known, literally in recent days the situation has seriously complicated and Astana diplomats are hardly happy about it. The situation established in the process of Transdniestria regulation can’t also be called positively progressing. No one can guarantee its success. Kazakhstan won’t be able to ignore mentioned regional problems within the agenda, however Astana doesn’t intend to start solving them that hard. It’s difficult and dangerous to some extent, and doesn’t really correspond to the main task of the Presidency – to promote its own image and regional significance of the country. If to judge by the analysis of the speeches of diplomats during last two years, than according to the view of most OSCE states, further they should concentrate their efforts in three regions – western Balkans, Caucasus and Central Asia. In Balkans they should enhance stability on the ground of new reality. In Caucasus OSCE should become a crisis manager, its task is to solve frozen conflicts and to prevent the escalation of violence. In Central Asia the main problem is the promotion of democratic institutes. Obviously, that regional accent of the new Chair is Central Asia, however, not only within the framework of democracy promotion. Military-political issues and security aspects – one of the most complicated lines of modern OSCE. In the period of its Presidency Greece as well as Finland tried using all available means and diplomatic weight to enhance OSCE status as a regional organization on security, promoting the ideals of openness, transparency and cooperation in military-political issues. However, the results are quite low. The uncertainty around the Treaty on Conventional Armed Forces in Europe (CFE) remains one of the challenges within OSCE region. The agreements, adopted in the framework of OSCE on limitation of conventional armed forces and armaments, are outdated and don’t correspond the reality. Main critical evaluations on this “basket” summarize that OSCE didn’t manage to become an effective system of collective security. Russia suggests that it appeared to be unable to solve the tasks of preventive diplomacy, to prevent the use of force earlier in Balkans not in 2008 in Transcaucasia, and claimed principles of interstate relations, fixed in Helsinki Act and Paris Charter doesn’t oblige anyone. In theory Russian stance appeals to the accumulated experience of OSCE and its basic norms - overwhelming concept of security, understanding of inseparable connection between offensive and defensive arms, the maxim of inadmissibility to build own security at the cost of any other Party or Parties. Initially Russian experts even touched upon the issue of more extended context – the calling of a new, third Hague conference of Peace, which would include the discussion of the matter of updating of disarmament agenda, the format of negotiations on strategic arms, the establishment of a common strategic system of antimissile defense, the prevention of arms race in outer space, the development of the measures of trust and transparency of a new generation, etc. 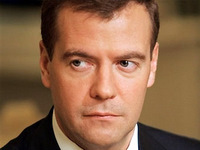 Today it is drained into Evian initiative of D.Medvedev on new common European security treaty. Finland demonstrated quite positive, although also cautious approach to Russian idea on the conclusion of legally binding treaty. Greece, as some think, was forced to make steps forward – to initiate Corfu process – informal dialogue on a wide range of OSCE issues and first of all on Russian initiative. However, Moscow estimates this dialogue as insufficient and there are all reasons to suppose that the initiative of D.Medvedev can find a continuation in 2010. Maybe, Kazakhstan will have to join this subject. However, this won’t be complicated for the presiding country. First of all, the discussion of the kind of initiative is a long and complicated process, and secondly, Moscow thinks that OSCE format is insufficient. OSCE is only one of regional organizations, which should participate within the development of talks and consultations on the new treaty. Another thing is that Kazakhstan to certain extent is connected with a collective position of the CIS countries, however, it doesn’t force it to play any active role. Except for that, at the moment, according to experts and diplomats, the situation looks like if in near future Russia doesn’t specify its initiative and the subject of discussion in particular then this issue can appear on the periphery of the international agenda in all formats. Another important issue – measures for security and stability assurance in Afghanistan, effective border management and illegal drugs traffic struggle. The issue is clear and topical for Kazakhstan. And here we can expect a pretty active position of the OSCE Chair in 2010. Despite individual attempts and adopted wise and promising documents, the “second basket” within the OSCE activity still remains and will remain “dormant”. Although Kazakhstan here, it seems, plans a few initiatives (working programs), concerning regional energy, economic and ecologic projects. This is beneficial and attractive for Astana. In the framework of cooperation development on the so-called “third basket” by 2010 OSCE, judging by some speeches and comments, clarifying the view of future Chair, the following priorities were determined: struggle against human traffic, the promotion of tolerance and non-discrimination. The head of the Foreign Affairs Ministry of Kazakhstan has also underlined that OSCE should proceed its activity in the sphere of elections and electoral monitoring in all member-states of the Organization, promote dialogue on the issue of elections monitoring and new liabilities, including E-voting. Here we should note that the critics by the CIS states and primarily by Russia of ODIHR activity is perceived in Astana moderately and cautiously. And by all appearance the new Chair won’t give special attention to the “third basket”. Trying to predict the position of Kazakhstan in the issues as institutional strengthening of OSCE (reform of organization), it’s observed as follows. From the one hand, Astana values as much closer cooperation and coordination of parties and OSCE institutions as possible, as it enhances the efficacy and sequence of actions of the whole Organization. From the other hand it agrees with a certain autonomous activity of ODIHR, OSCE High Commissioner on National Minorities, the Representative on the issues of Mass Media independence. During the Presidency of Finland they started using the term “further decentralization of institutions” as one of directions of institutional development versus earlier expressed common position of the CIS states. According to experts, within this issue the approach of Kazakhstan will remain cautious, as well as on the issue of development and adoption of a unique regulating and reforming document – OSCE Charter. Considering its wish to reveal moderate approach to the key issues of the organization, Astana will have to take into account a significant change in OSCE life. Crisis in Caucasus has changed the character of Organization management: if before Russian-Georgian war this process had a kind of a business-project character, then after August of 2008 OSCE had to show its ability to act in conditions of a real armed conflict. The Head of French Ministry of Foreign Affairs resuming the work noted that August 2008 became a critical turning point in the history of the Organization: it will either end its existence or it will gain a new breath. Obviously, in the last case it’ll require renovation. However, N. Nazarbayev will hardly undertake the mission of renovation and the responsibility. Although, as Finland, in comparison for example with Spain, Astana in comparison with Athens obviously will refuse of narrow approach, when agenda concentrates only on a few key events. Judging by the speech of the top political authorities, the agenda of Kazakhstan will illustrate geopolitical and international weight of the country, its attention to global problems, its understanding of OSCE role in modern conditions, as well as the attention to specific regional projects. One of advice, which can be given to Kazakhstan grounding on the experience of former Chairs –to use interaction with international research centers, nongovernmental organizations. It’s important for Kazakhstan from the point of view of improvement of its democratic reputation. Expert support of Finland, for example, within the issues of agenda development, analysis of individual problems and directions, arrangement of counsels and comprehensive discussions during various events to this or that extent was provided by two Finnish institutions: Finnish Institute of International Affairs in Helsinki (http://www.upi-fiia.fi/fi/) and Tampere Peace Research Institute (http://www.uta.fi/tapri) within the frameworks of some research programs. Except for that, Finnish Pesidency provided sponsorship for the seminar, arranged by Austrian Center of International Research on the subject “Multilateral Security Co-operation in Northeast Asia and the Relevance of the OSCE Experience”, held in Washington. It’s noteworthy that Finish Foreign Minister in his address during this conference called the oncoming Presidency of Kazakhstan promising, that will be able to give the Organization a new regional impulse. Also Finnish Foreign Minister participated within the Forum of Japanese Institute of International Affairs, where he addressed with a report on the role of OSCE in modern system of international relations. Specifying the issues of development of cooperation and collaboration programs of OSCE with the states of Asian region, he underlined that Kazakhstan will be the first Asian country to chair OSCE, and this will become not only a precedent, but a sound step in the promotion of a comprehensive cooperation. In his speech Finnish Minister noted, that the format of the three from the number of presiding states opens great opportunities for introduction of long-term cooperation projects, as well as for the succession within the issues of agenda. - cooperation with a regional Forum АSЕАN. Concerning Asian region, there were specified three main moments to be considered in the process of cooperation development. 1. Consideration of specificity (each region has its own specificity, history and common interests). 2. Natural dynamism of Helsinki process, OSCE flexibility, and also further decentralization of institutions and 19 main directions of activity, which will allow regional processes in greater extent. member-states should ground on the principle of mutual aid within overcoming of new challenges and crises). In general the position of most western democracies during Madrid decision grounded on the fact that West shouldn’t moralize Astana about the way of presiding in OSCE. And the more responsibility lays on Kazakhstan, the more will Kazakhstan realize to incite internal reforms. West still expect much from Kazakhstan. First of all they will concentrate on how Kazakhstan will declare itself as a bridge not even between Asia and Europe, but between the European Union and the CIS states. The priority of West in the years to come and in a more long-term perspective is the stability in Caucasus. And within the framework of OSCE, Western countries intend to promote mechanisms of the kind of conflicts regulation. And if to take into account total palette of various interests, which meet in Caucasus, Kazakhstan has a chance to play a role of neutral intermediate contributing into stabilization. Without doubts, Afghanistan will also play a significant part by the discussion of OSCE the mechanisms of extended security. This tendency Kazakhstan has already detected, which is evident by different signs from Astana. For example, the reminding of that Kazakhstan is ready to provide its airfields for NATO aviation – naturally, within the context of operation in Afghanistan. In recent years Russian foreign policy towards post-Soviet world has been pragmatic and pretty realistic. By all appearance Moscow perfectly realizes that the Presidency of Kazakhstan in OSCE, although sometimes formulated as “collective Presidency” of the CIS-states in reality will comply with the specific interests of Astana. As a number of addresses show the new Chair will have more moderate approach to Russian initiatives in the sphere of European security, OSCE reformation, determination of criteria and limits of ODIHR functioning. From the other hand, Kazakhstan won’t also become a guide of exclusively Western approach to problematic issues. In other words, the prospective supremacy of Kazakhstan in the Organization for Security and Cooperation in Europe has all chances to be accomplished as a national project on enhancing international image and regional status of the state, as well as political weight of the President inside the country.